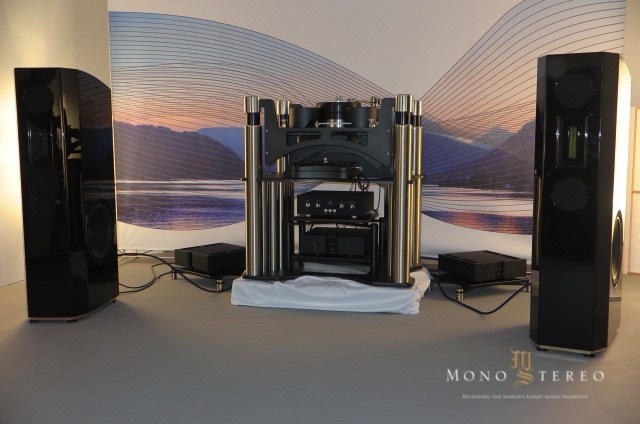 When I attended Munich High-End in 2016 I thought it would be a once-in-a-lifetime experience. The show was everything everyone promised it would be: dozens and dozens of companies’ products which you never see in the USA, and almost everybody in the entire industry attends. Unexpectedly, I decided to go again this year. This time, I took my wife, Tinka, with me, and she and Matej finally met when we all had lunch together! I am sure this will be the last time I attend the event -- making it a second in-a-lifetime experience. Arriving at the show we ran almost immediately into Jim White of Aesthetix, Bea and Luke Manley of VTL, and Michael Fremer of Analog Planet. We enjoyed checking out exhibits with Don Saltzman, a Senior Writer at The Absolute Sound, and a friend of ours who lives near us in Los Angeles. Tinka also got to remind Niels Madsen, Service Manager of Gryphon Audio Designs, that he is going to be enjoying an all expense paid trip to Los Angeles at some point to unbox and assemble my Gryphon Pendragons. 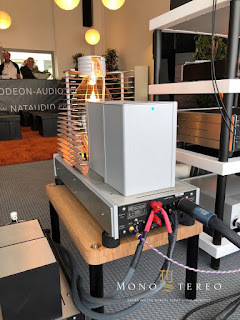 On Saturday I was grateful to spend some quality time with Flemming Rasmussen, the Founder and CEO of Gryphon, who, after devoting decades building Gryphon into one of the most successful and highly-regarded high-end audio brands in the world, is taking a much-deserved retirement. 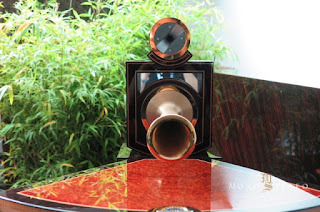 I spent most of Friday roaming the halls investigating horn loudspeakers. 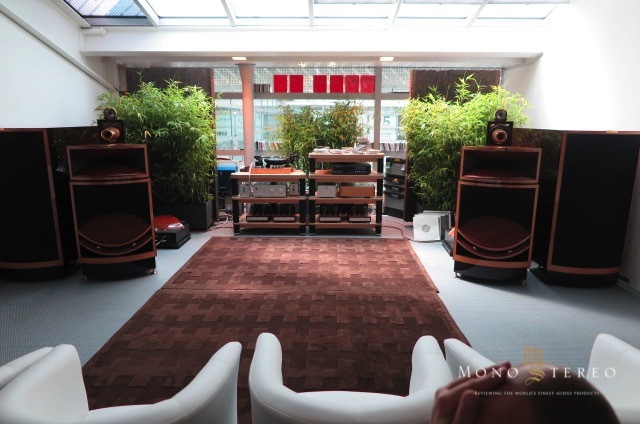 Munich High-End surely is the best place in the world to do that! 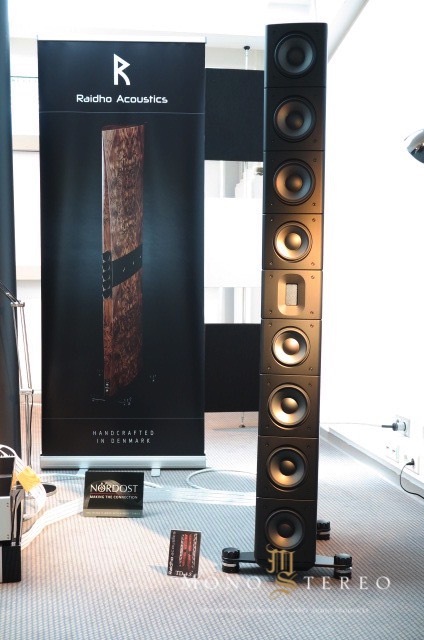 At Munich High-End 2016 and 2017 the Acoustical Systems Apolyt made only a static, if nonetheless still dramatic, appearance. This year, its platter was spinning. 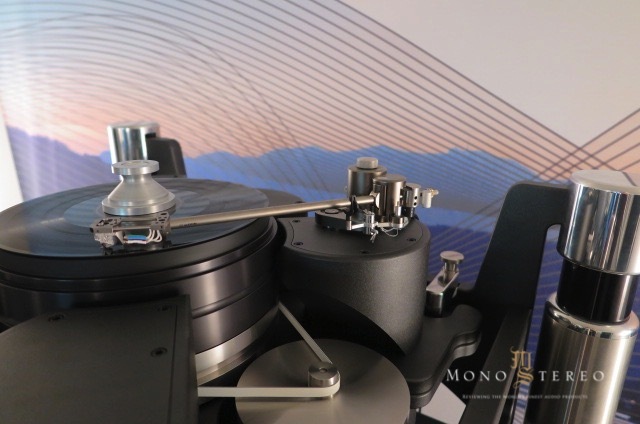 Dietrich Brakemeier, the founder and designer of Acoustical Systems, mounted his amazing Axiom tonearm on the Apolyt. 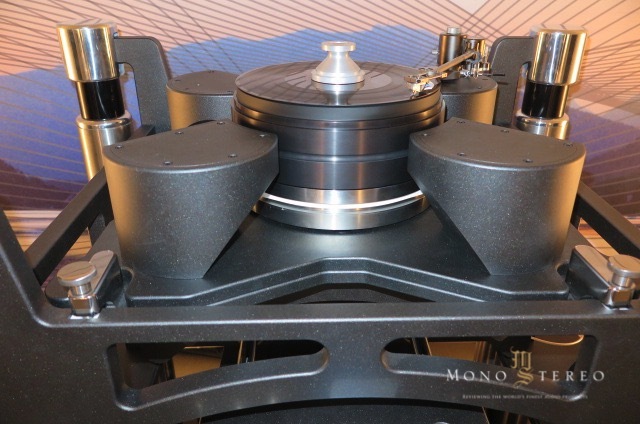 It is hard to convey a sense of just how massive is the Apolyt turntable. It boasts an air suspension system supporting what looks like a very large but fairly conventional turntable in the middle of a medieval-looking torture rack. 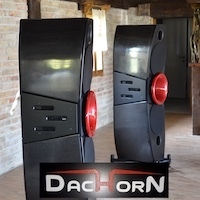 I told Dietrich that I love his Axiom but would he be willing to make a trip to Los Angeles to install and set it up? Dietrich said he would be open to such a trip! 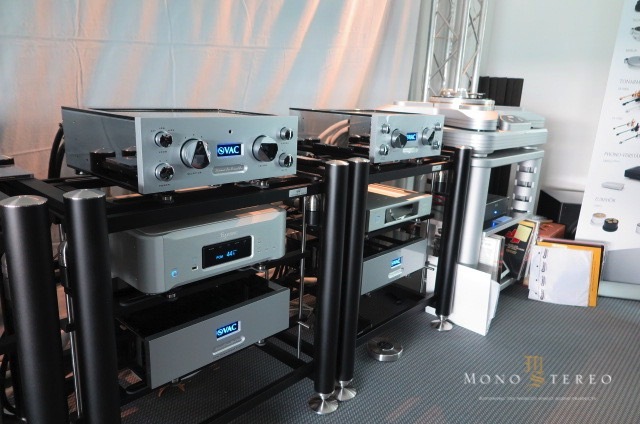 - optional 2 shelves incorporated for phono stage / line stage - full isolated within the air spring frame. 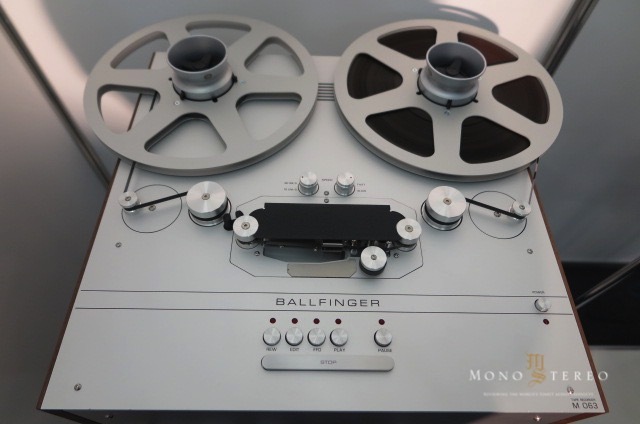 - platter based on bi-radial, full aero-static air-bearing - vertical and horizontal. 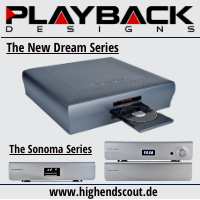 - complete plinth and optional integrated rack suspended on true air-spring-induction-field suspension with resonance frequency below 0.5 Hz. - balanced shaft transmission drive - mating belt and direct drive in an unique concept. - center of moving mass resting in bearing plane. 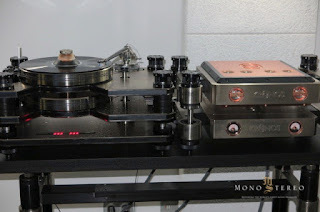 - platter inertia 38x of Micro Seiki SX-8000 platter. 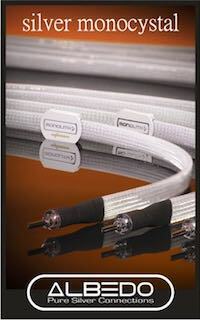 - compound platter featuring definite energy transfer and internal liquid dampening. 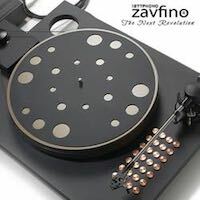 - center of platter mass identical with plane of bearing/rotation = perfect resting mass principle. - compound arm bases with identical energy transfer concept as platter. - super fast exchange of arm boards. 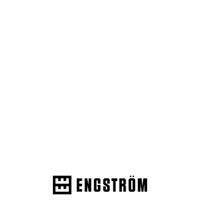 - no possible build-up of static energy during play. 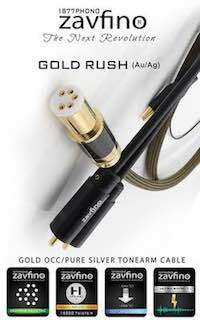 - motor-drive powered by custom amplifier and optional pure DC-power supply. 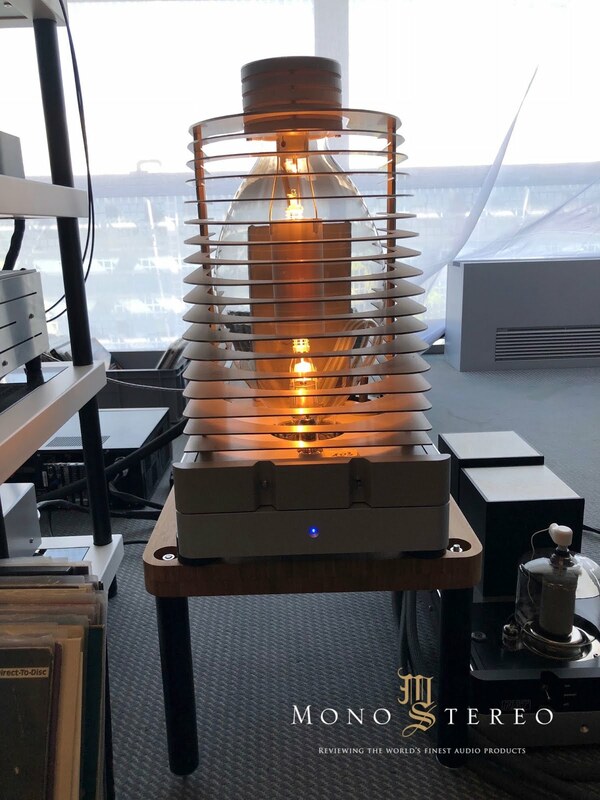 Jim White, the Founder of Aesthetix, and one of the very nicest and most genuine and honest people in all of high-end audio, was proudly showcasing several new and interesting products. The Aesthetix Pallene preamplifier is an all-new preamp with DAC, phono and headphone options. 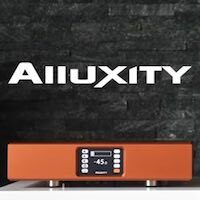 It features fully-balanced vacuum tube circuitry and a discrete switched resistor voulime control based on the Calypso preamplifier. This very flexible and configurable preamp employs one 6DJ8/6922 per channel and utilizes a custom-wound transformer. 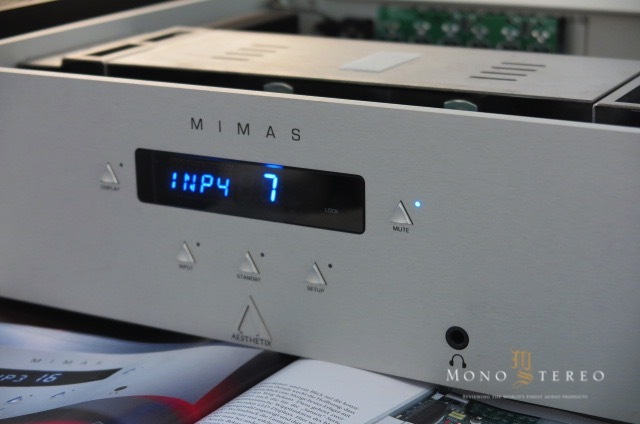 Combining the Calypso line stage and the Atlas power amplifier, the new Mimas Integrated Amplifier features zero feedback, differential, balanced-bridged outputs. 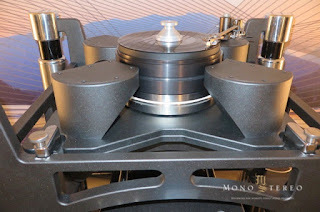 The Mimas, like the Atlas, features custom-wound transformers. The Mimas costs a relatively reasonable EUR7,950. 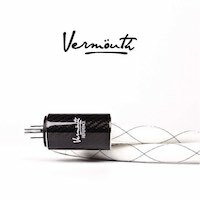 Inputs: 5 balanced and single-ended. 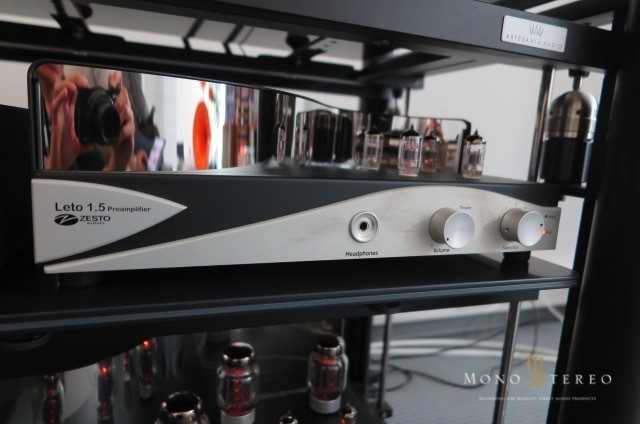 Outputs: Preamp output, balanced and single-ended. 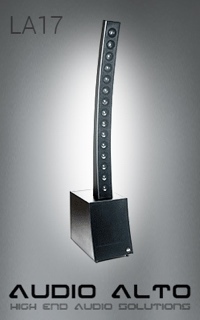 One balanced speaker output per channel. 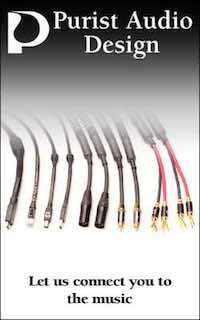 I/O: RS232: 1 DB9 connector; IR extender; full function remote control. 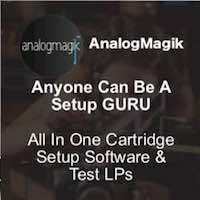 Trigger: Input / output 1/8” mono jack. 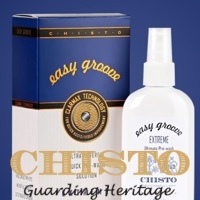 Dimensions: 17 7/8” x 17 11/16” x 5 1/2” / 43.4 x 44.9 x 14 cm. Boxed: 22” x 22” x 10” / 55.8 x 55.8 x 25.4 cm. 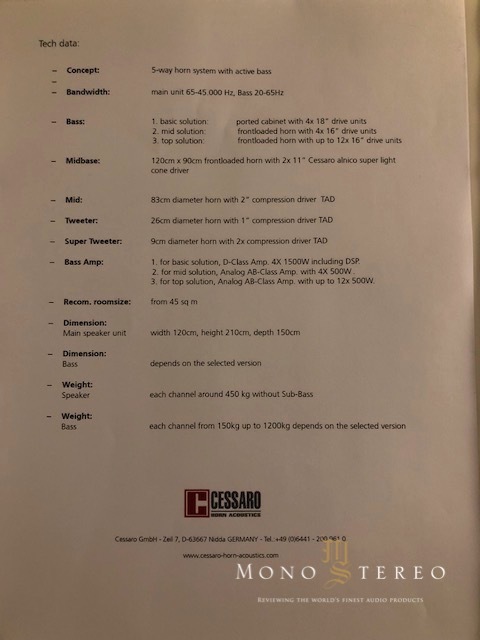 Weight: 41Lbs / 18.6Kg Stand alone; Boxed 50Lbs / 22.7Kg. Tubes: One 6DJ8 / 6922 per channel. 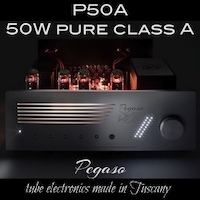 Power Output: 150 WPC, both channels driven into 8 ohms. 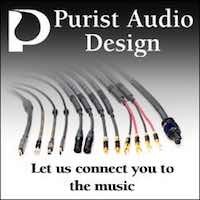 Options: Phono: MM / MC. Gain / loading front panel & remote adjustable. 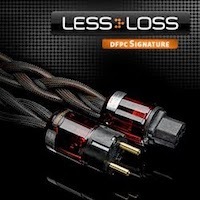 DAC: 2 x RCA, 2 x TosLink, 1 x USB 24bit / 352k, DSD & DSD2. 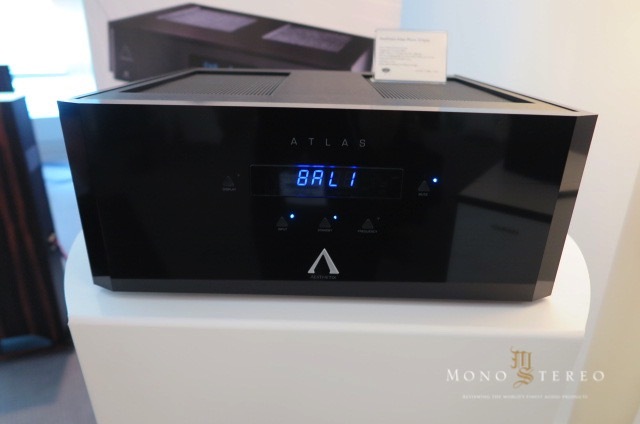 The Atlas Mono Eclipse is the lastest version of the highly-regarded Atlas amplifier. I have listened to the Atlas Signature extensively in the system of a friend who uses them to drive MBL 101E Mk. 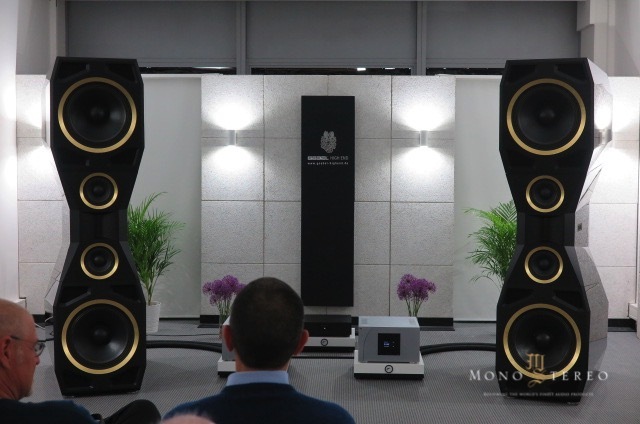 II loudspeakers. 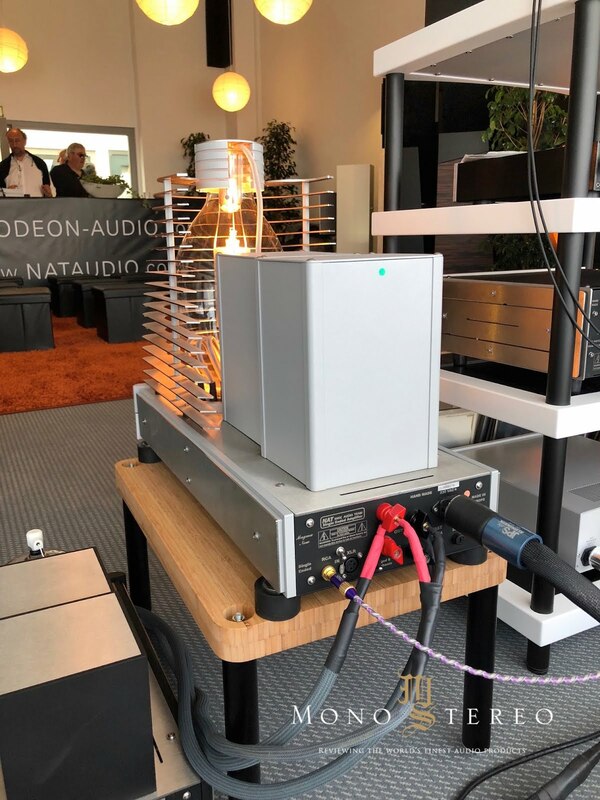 I personally prefer the Atlas to drive MBLs over MBL’s own amplifiers. The solid-state output stage of the Atlas is powerful enough to control the radialstrahler drivers but the tube input stage adds a bit of much-needed (in my opinion) sweetness and warmth. 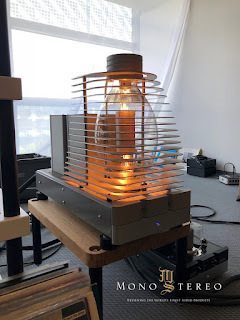 I think the Atlas is a great answer for any tube amp aficionado who has to solve a system-building equation which requires high current capability. 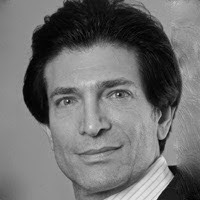 I personally am a huge fan of Aesthetix products, and I have been a huge fan for a very long time. 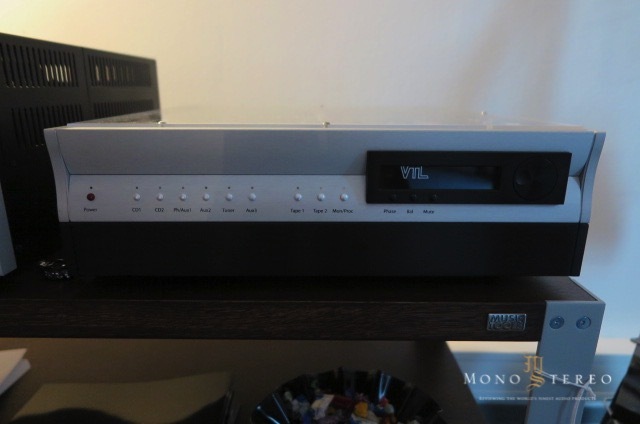 I have happily owned an Io since 1997. 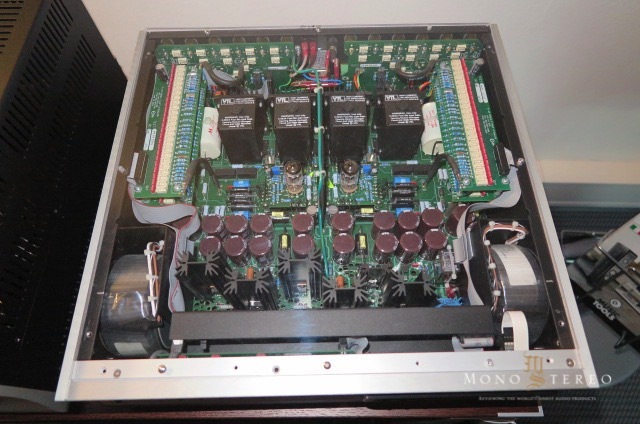 Jim presently is in the process of upgrading my Io to Eclipse status with two power supplies. 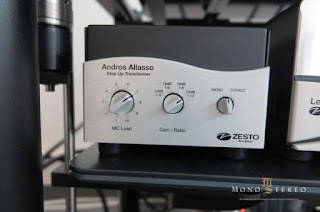 In addition, I recently ordered a Callisto Eclipse with two power supplies. 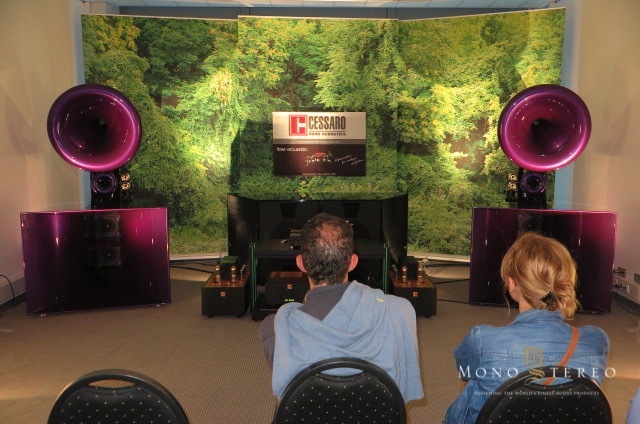 In 2016 Ascendo Immersive Audio unleashed upon the universe a 50" diameter subwoofer driver. 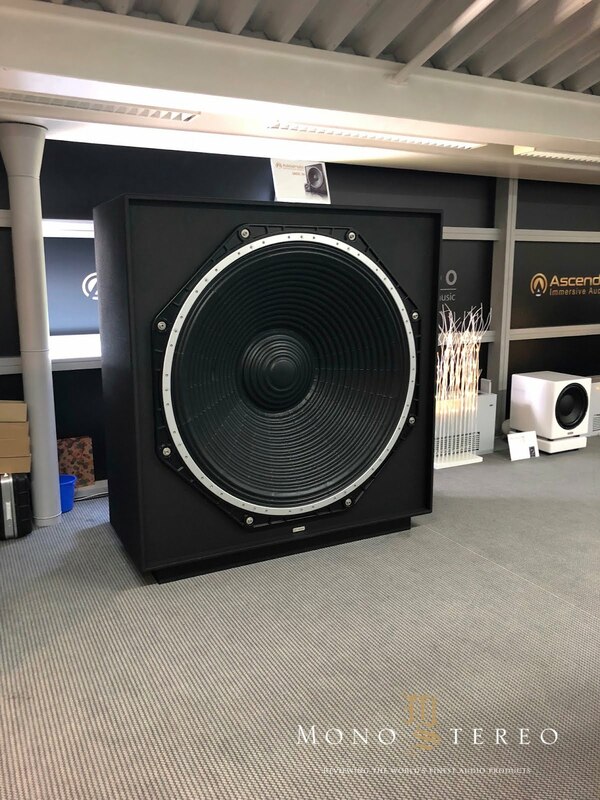 Now Ascendo has added a 24" model (good down to 10Hz) and a 32" model (good down to 7Hz). Roland Schnider of Ballfinger was displaying three of his new reel-to-reel tape machines. I asked Roland if he has any plans to produce a 30ips machine. 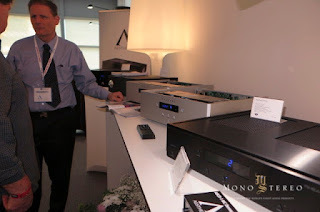 He said that he does intend to produce a 30ips, 1/4" machine. He said he also plans to produce a 1/2" machine! 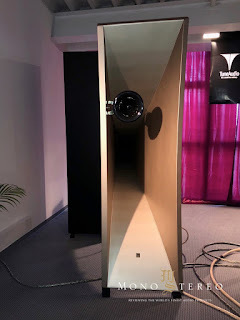 Goebel High End exhibited a brand new and extremely impressive loudspeaker named the “Divin Majestic. Goebel website refers to the Divin Majestic as the company's "flagship product," which is interesting, among other reasons, because the speaker does not employ the flat, bending-wave driver, which is Goebel's original claim to fame. The speaker utilizes a D'Appolito array with a Mundorf air motion tweeter in the center. 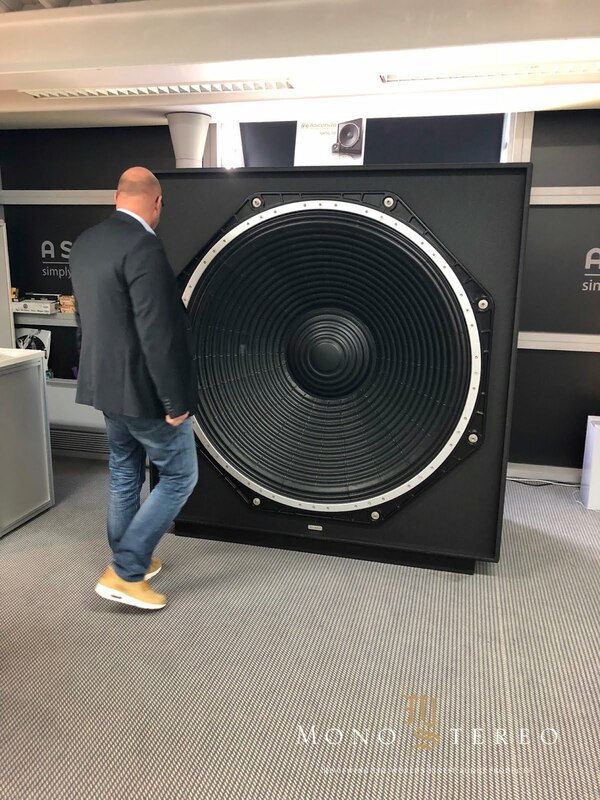 Playing big and weighty music the Divin Majestic sounded appropriately big and weighty, just like you would expect a seven foot tall loudspeaker to sound. I also spent 45 minutes listening to vocals with simple acoustic accompaniment, and bit of classical. This speaker does it all! A top-of-the-line Kronos turntable system with outboard power supply and new phono stage played vinyl. 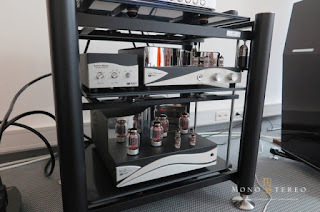 All electronics were by CH Precision. 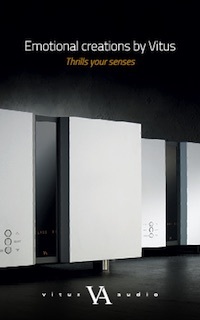 Elliot Goldman, the affable North American importer of Goebel, explained that Oliver Goebel, the friendly owner and designer of Goebel, wanted to create a new line of speakers which could be enjoyed by audiophiles seeking to employ low to medium power tube amplifiers. 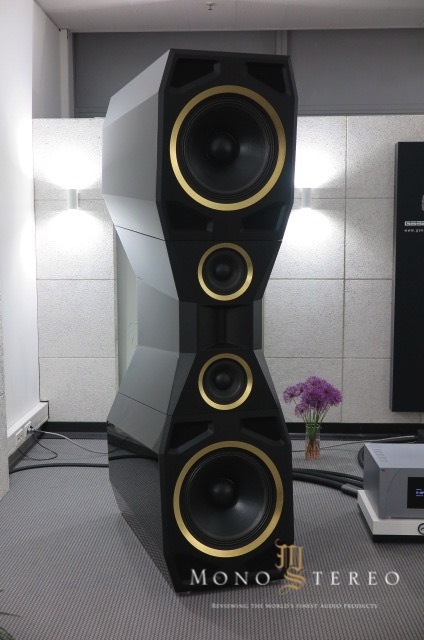 I was puzzled why this very ambitious and impressive speaker wouldn’t have a Goebel bending wave driver in the center of it. 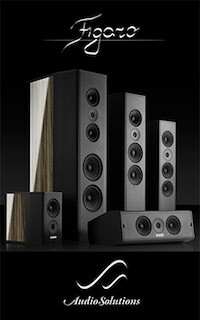 The answer is that the bending wave driver occasions a sensitivity which is too low for the purpose Oliver intends with this new line of high-sensitivity speakers. 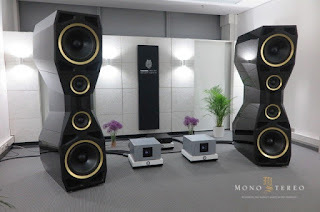 I think it is great that a speaker designer would attempt to satisfy two different sets of audiophiles with different state-of-the-art loudspeaker designs. 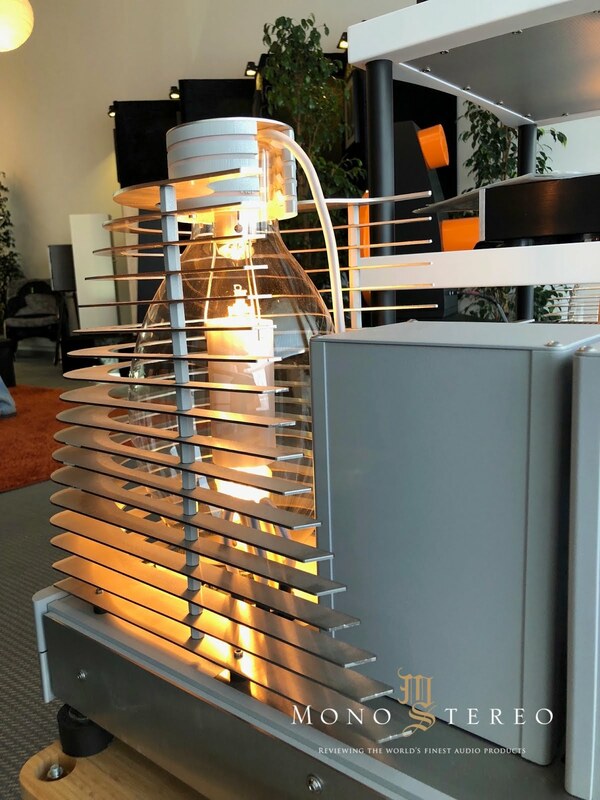 The Divin Majestic, as a tall, heavy, single-column, M-T-M design, competes directly with the Von Schweikert Ultra 11 and the Rockport Technologies Arrakis. I have always been curious to see the MastersounD PF100 in person because it is one of the very few Class A, parallel SET amplifiers achieving 120 watts output (four 845s). 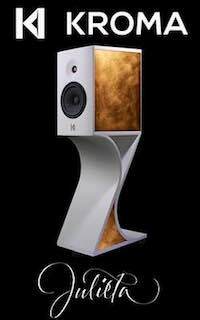 MastersounD recently upgraded the PF100 to the new Litz Edition, with improved capacitors and an upgraded transformer. It is very large in person, and it looks like it is beautifully made! I was happy to see finally in person the awesome NAT Magma New SE SET amplifier. 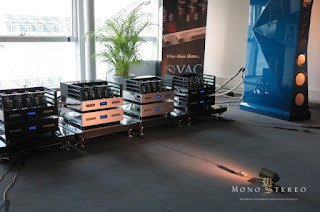 As far as I know this amplifier, with an output of 170 watts from one GM-100 tube, is the highest power, single-tube SET amplifier available today. 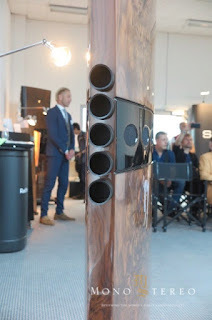 The speaker was beautifully finished. 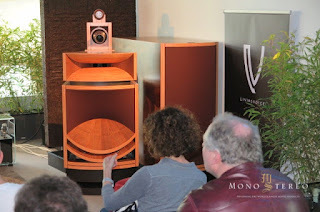 It was very interesting to see how thin is the width to which the speaker curves at the back! 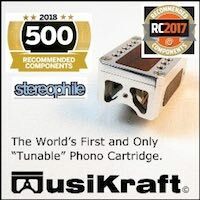 The speaker is a sonic success! 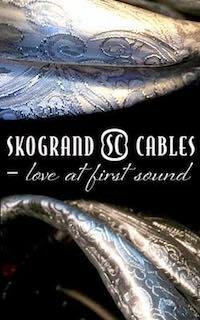 The sound was transparent, dynamic (especially for such small drivers) and natural. 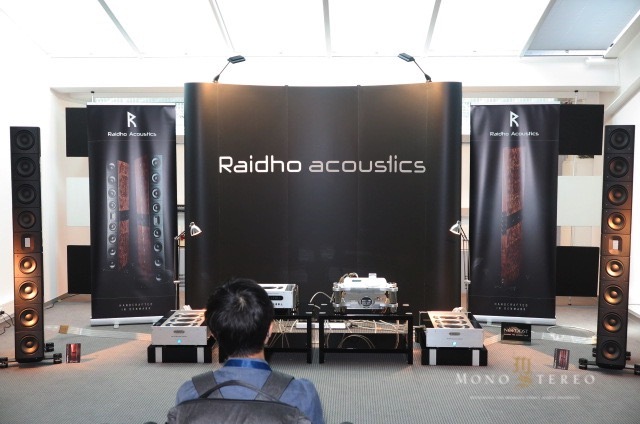 The Raidho TD-4.8 in High Gloss Black sell for 134.000 EUR while the Walnut Burl sells for 149.900 EUR. Kerem Kucukaslan, the gracious and warm founder of Absolare, was showing his brand new Absolare Passion Hybrid Monoblock amplifier ($60,000). 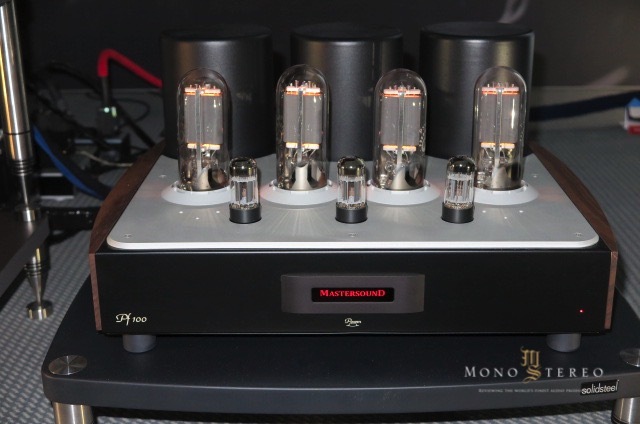 The amplifier employs a tube input and solid-state output topology. The amp outputs 300 watts into 4 ohms, and 200 watts into 8 ohms. 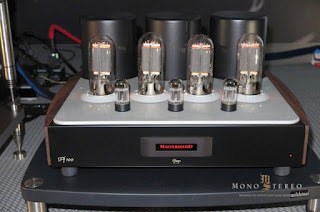 The tube complement is 2 X 12AU7/ECC82 or E80CC). 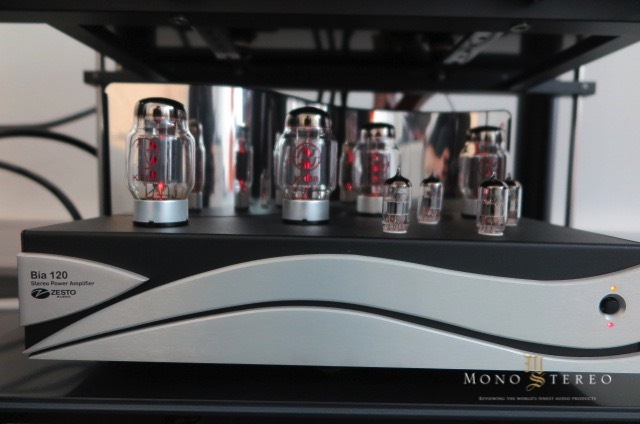 Absolare makes sure that every amplifier comes with select NOS tubes. 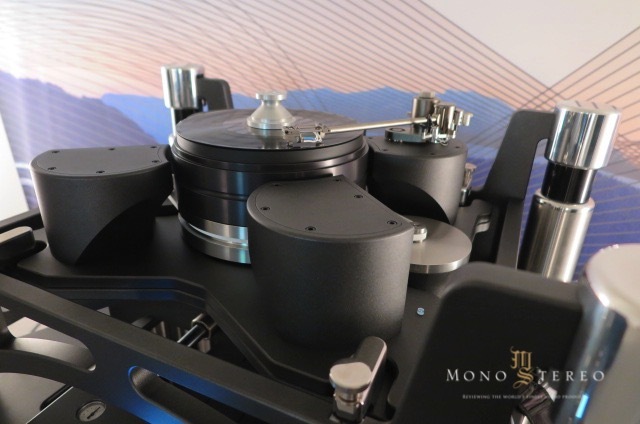 The Absolare Hybrid was driving the Rockport Technologies Lyra ($170,000). The vinyl front-end consisted of the Kronos Pro turntable and power supply , and Black Beauty tonearm, and the cartridge was the ZYX UNIverse Premium (which I own myself). 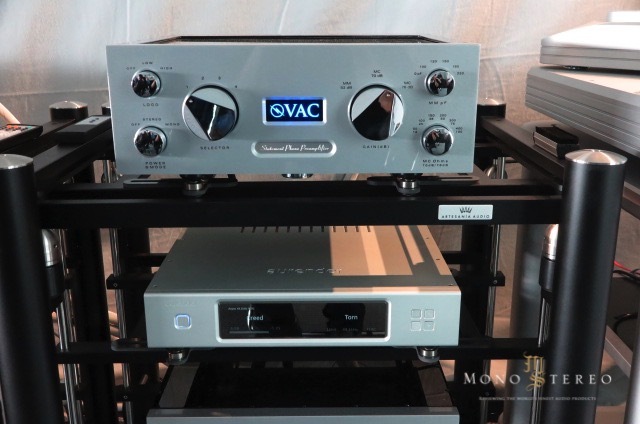 The phono stage was the Absolare Altius ($52,000), and the preamplifier was the Absolare Altius line stage ($50,000). I have liked the sound of Absolare electronics driving Rockport speakers every single time I have ever heard the combination (which has been at least six times). 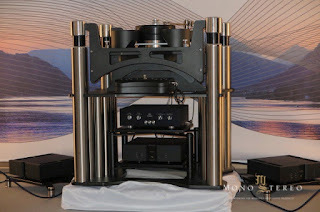 Here in a large room the Rockport Lyra, driven by the new Absolare hybrid amplifiers, sounded absolutely wonderful. 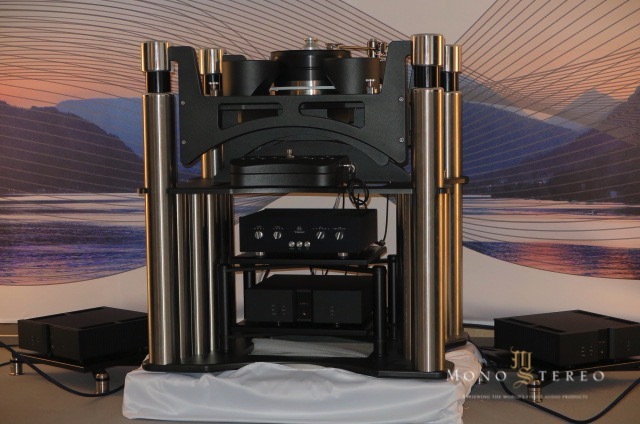 This system, which I consider to be close to state-of-the-art sonically (able to be improved only by substituting the Arrakis for the Lyra -- of course the Lyra does not have the vertical height and grandeur of seven foot tall speakers). 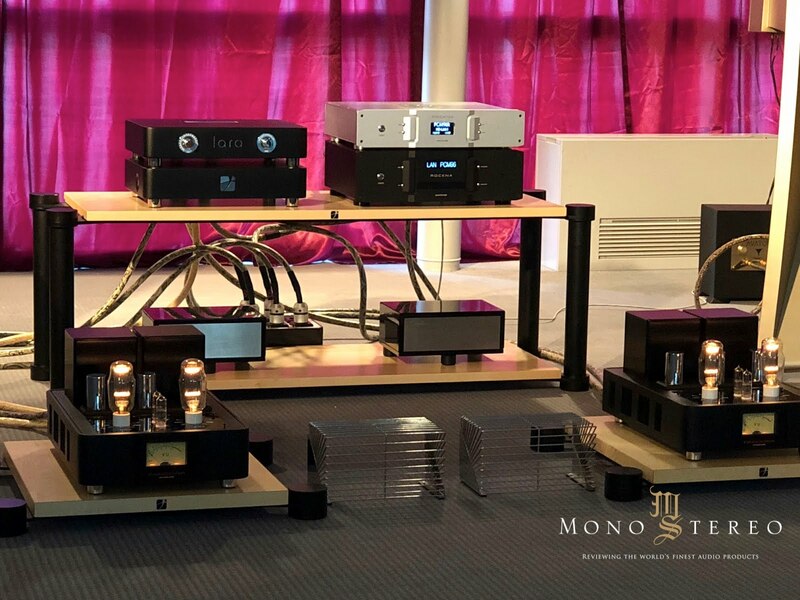 We often make this hobby complicated, but if you are a music lover and if you have the money to pay the premium for these components you will be thrilled. 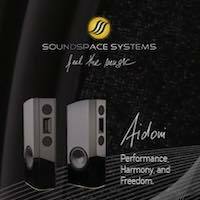 Absolare electronics on Rockport speakers is a relatively simple and relatively no fuss way to achieve sound that you’ll be happy with for the rest of your life. 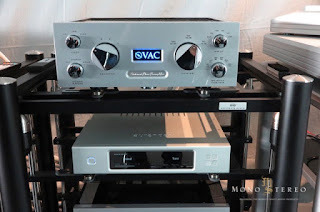 Damon Von Schweikert and Leif Swanson, on behalf of Von Schweikert Audio, and Kevin Hayes, on behalf of VAC, partnered to put together another of my favorite systems at this show. 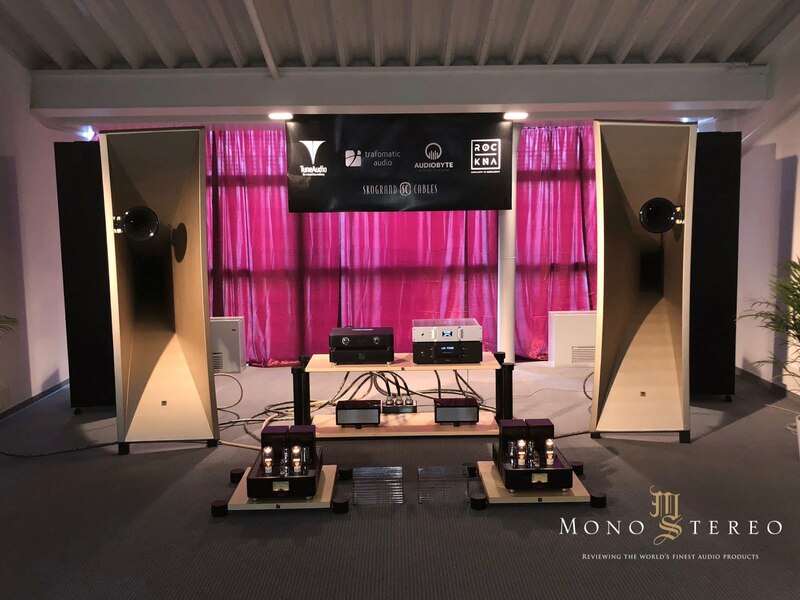 The combination of the Von Schweikert Ultra 11 loudspeakers and the VAC 450 Statement iQ amplifiers have been garnering rave reviews every time this traveling audio show comes to town. 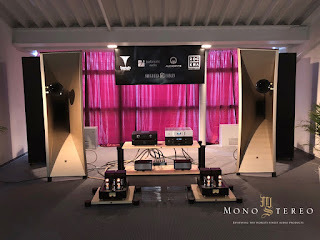 Burdened by a difficult room for such a large system the resulting sound nonetheless was one of my five favorites at the show. 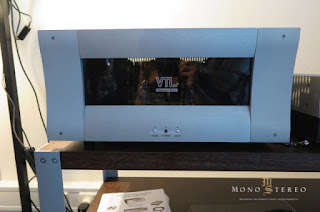 Bea and Luke Manley, the nicest and most experienced design, voicing and manufacturing couple in all of high-end audio, were showing one of their highly-regarded preamplifiers and one of their highly-regarded amplifiers. 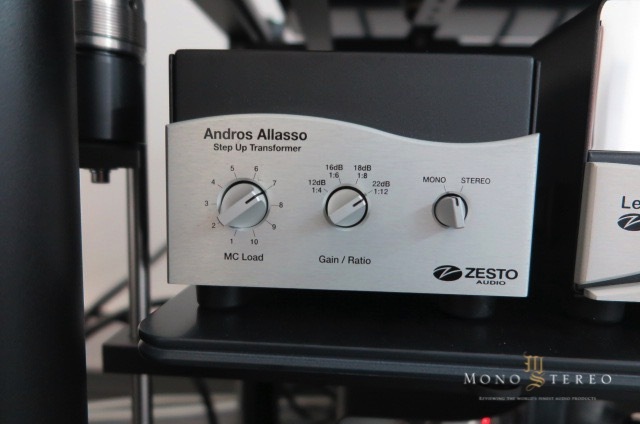 I was delighted to meet in person Carolyn and George Counnas, the proprietors of Zesto Audio, a relatively new company whose products have been praised highly in numerous reviews, including the EROS 300 Class A Monoblocks in a comparative review by Don Saltzman, a Senior Writer for The Absolute Sound. 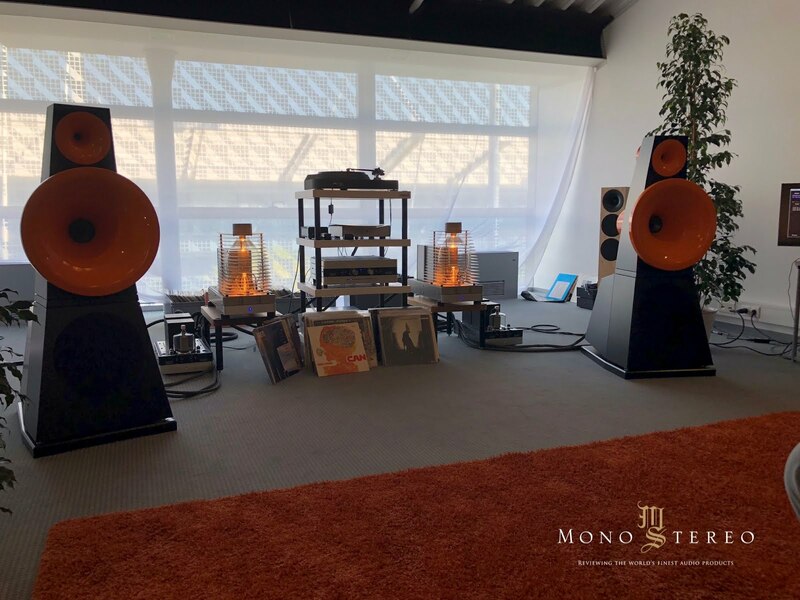 In the United States one simply does not see the number and variety of horn loudspeaker systems that one sees at Munich High-End. 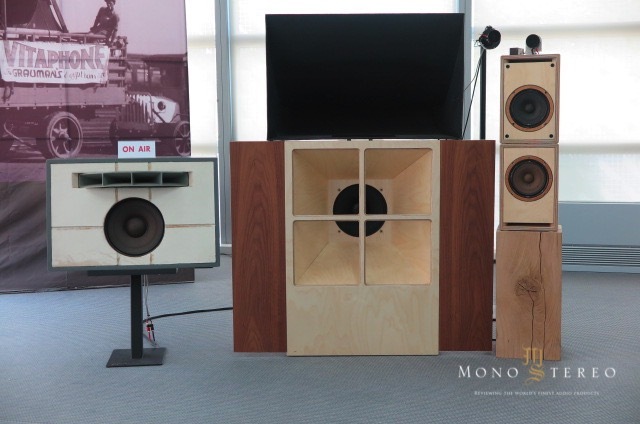 Many of the horn speaker manufacturers are in Germany and Italy and Greece, and many of those manufacturers just do not exhibit their flagship systems at audio shows in the United States. Munich is the best show in the world at which to experience the state-of-the-art in horn loudspeakers. I learned a lot about horn speakers at Munich High-End 2016, and I learned more this visit as well. 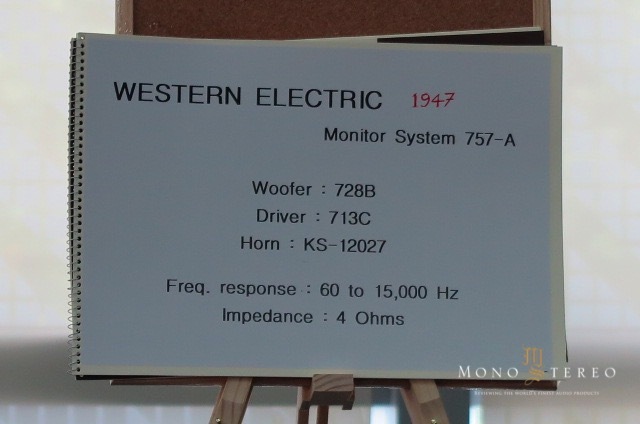 On Thursday I visited the Silbatone/Western Electric room. This exhibit is different every year, as every year the sponsors rescue out of storage exotic, rare and valuable vintage drivers and speaker components, so every year show attendees are treated to a different, one-of-a kind, sonic experience. 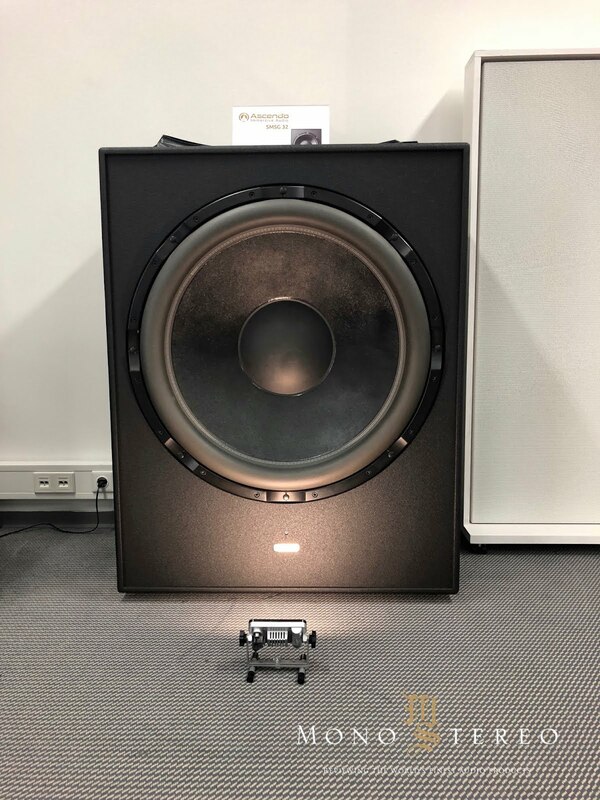 This year a couple of small drivers were planted next to a large dynamic driver and a large horn. 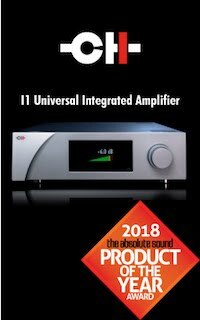 I found the sound of this year’s system to display very natural tone, but I found the drivers more disjointed and less coherent than the Living Voice Olympian system. But I stipulate that I might have been tainted by the visual way in which the drives were piled next to each other more than any actually incoherent sound itself. Still, the Silbatone sound was not “of a piece” the way the Living Voice system sounded. 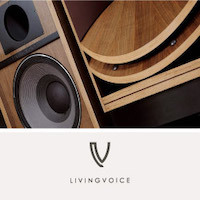 The Living Voice Olympian and Elysian combination is a very expensive and very revered loudspeaker system. 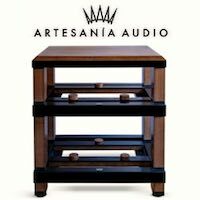 Beautifully crafted, with burnished gold horn drivers and meticulously finished wood cabinets, one can almost understand how much of the cost of the system is spent on the fabrication of these components. 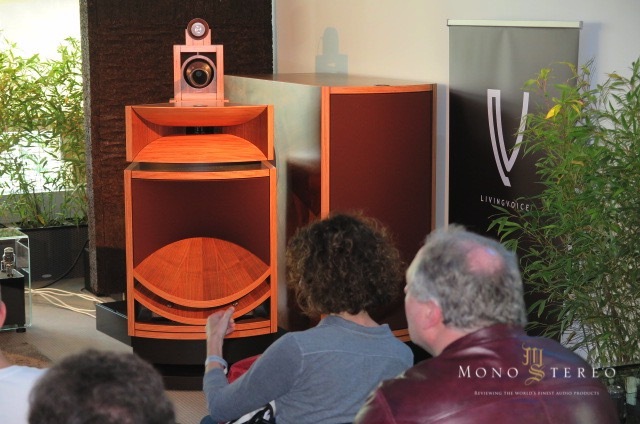 Sonically this Living Voice system sounded completely coherent and natural. String tone perhaps was the most natural and convincing I have ever heard in my life. 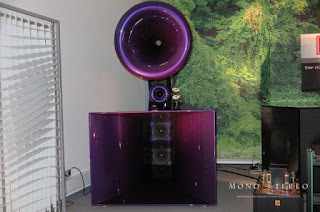 I thought the system sounded, for a horn system, open and transparent -- until I heard the Tune Audio Avaton. The natural and beautiful tone of instruments was what I found truly exceptional about the Living Voice system. I suspect that that tone and utter naturalness and coherency is what audiophiles pay a $1,000,000 for when they purchase a Living Voice Olympian and Elysian system. 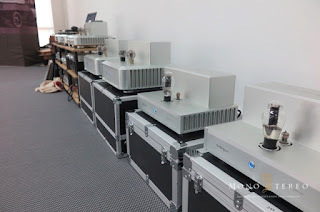 In contrast, perhaps I was influenced visually by the juxtaposition of the various Silbatone system drivers piled around, but I heard the Silbatone system to display a less coherent presentation, although with the the same (or perhaps even better?) naturalness of tone. 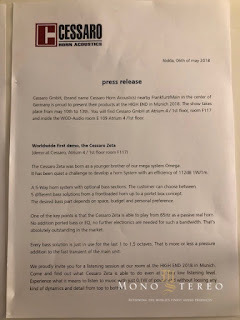 I heard the Cessaro Gamma system with linear basshorns at this show in 2016. 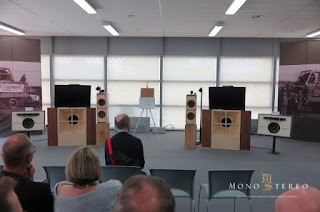 Despite the enormity of the loudspeaker system, in 2016, I (and many others) were puzzled to perceive the system to be lacking in mid-bass and low bass projection and power. 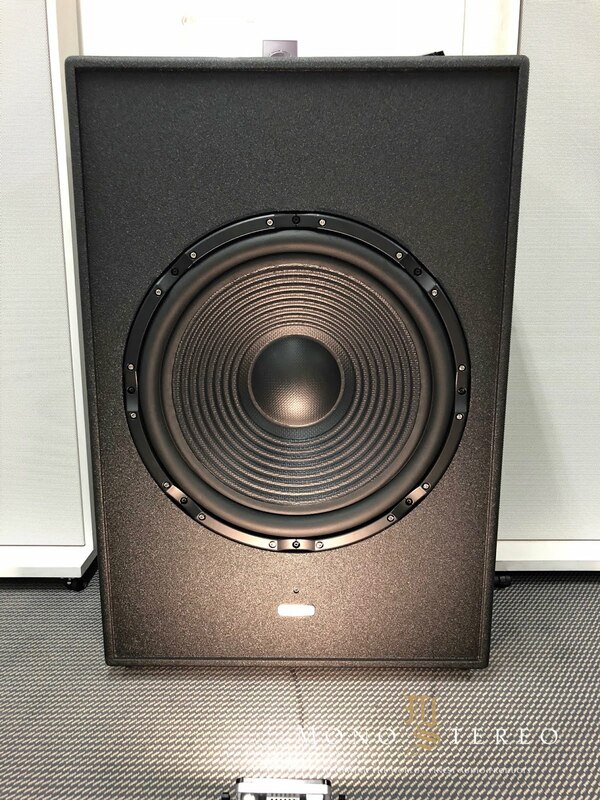 How could this be given the massiveness of the left side wall to the right side wall array of basshorns? This time, Ralph Krebs, the Founder of Cessaro, was debuting a brand new system. 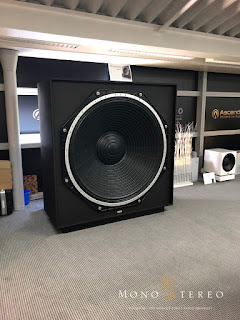 This new system, called the Zeta, employs the compression horn configuration of the Cessaro Omega, but substitutes a less gigantic subwoofer option. 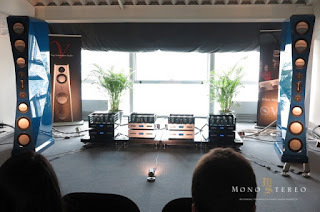 Rather than a huge line of basshorns behind the full-range systems, or a vertical array of basshorns standing next to the full-range systems (as in most photos of Cessaro or Avantgarde systems), the Zeta was demonstrated with the relatively low cost option of a subwoofer system consisting of four 18” drivers in a huge box between the full-range systems. Two of the 18” drivers fired forward, and an 18” driver on each end fired at an angle. 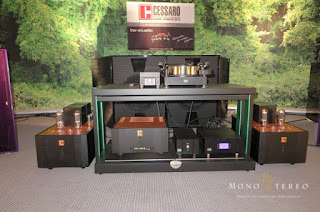 This Cessaro system sounded better than I recall the system in 2016 sounding. 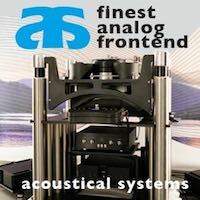 I think (but I am not certain) that this system was more sonically coherent than the Gamma system. 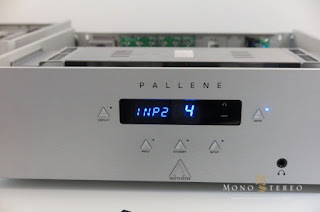 The tone of instruments on this system was very good, but not as natural as what I heard on the Living Voice or on the Silbatone or on the Tune Audio. 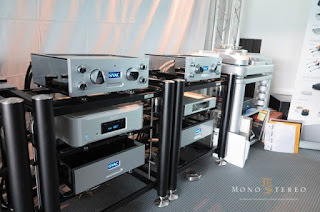 On this system this year also the mid-bass and low-bass frequencies seemed to be weak. I heard this and this was confirmed by two friends listening with me. 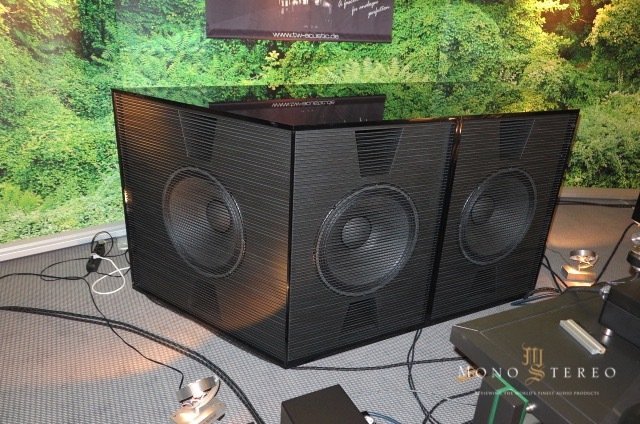 One friend of mine asked Ralph why the low frequencies seemed to be shy given the four X 18” subwoofer system. Ralph said that he was criticized several years ago for boomy bass, and ever since then he has been deliberately attenuating the low frequencies at the Munich show. This explains the puzzling lack of low frequency “oomph” both this year and in 2016. 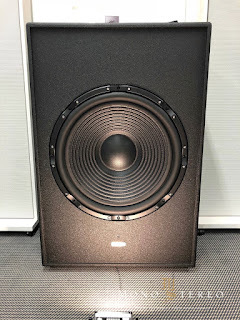 With a front-wall wide array of true basshorns, or a huge box stuffed with four 18” drivers, I am sure no Cessaro system in someone’s home will be lacking in low frequency power and extension. 3) If I listened primarily to jazz, or to jazz and classical, there is no doubt I would forget about ribbon and electrostatic and convention cone drivers and purchase some big horn loudspeaker system, and I would never look back. 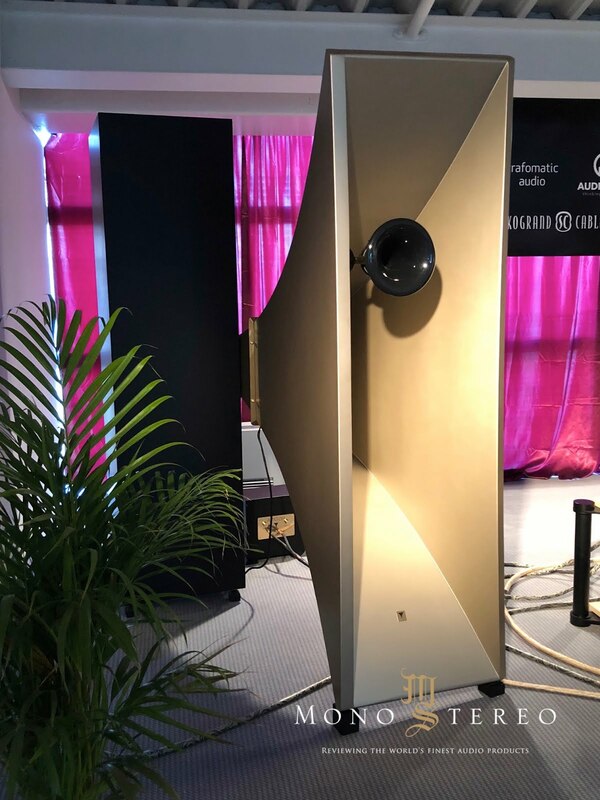 To my ears there is something about horns which reproduces the most convincingly of any speaker design the sound of brass instruments. 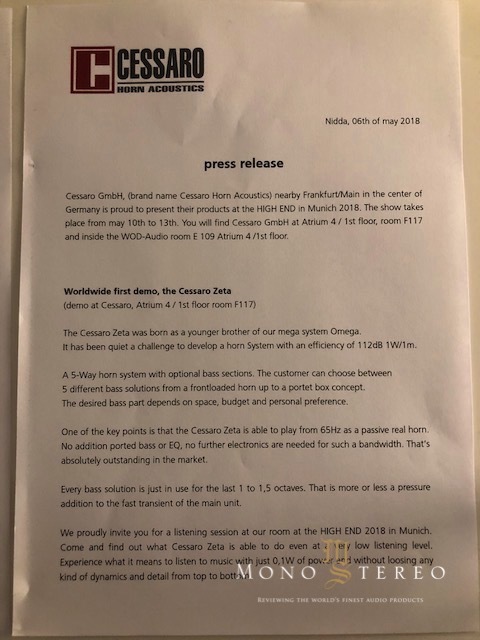 Maybe this is not shocking; instruments like tubas and trumpets look at their business ends kind of like horn drivers. 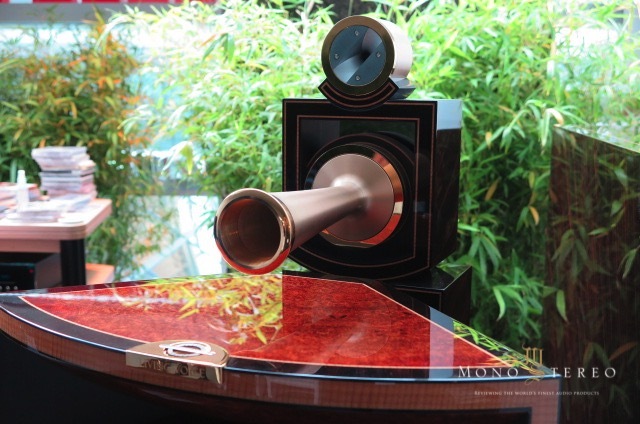 Somehow horn loudspeaker drivers move air kind of in the same way that air-powered musical instruments when being played move air. 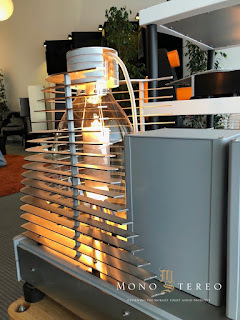 I liked the Cessaro Zeta very much, but I feel like it was too big for the room (which I also felt about the Cessaro Gamma system with basshorns in 2016). I did not bother to check out the Tune Audio room on Thursday, Friday or Saturday, as I assumed (correctly, as it turned out) that a horn aficionado friend of mine would want to take me there whenever he and I happened to be able to rendezvous. 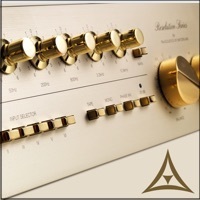 Tune Audio hails from Greece. 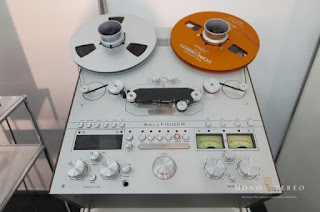 On Sunday I stumbled across the Tune Audio room myself, and I decided to walk in. 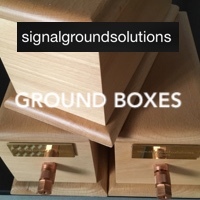 I see an almost coffin-size box made of blonde wood with a horn on a bracket attached to one side of the box, and I see an all-black box of similar size, covered with a grill, just behind the first box. After just a minute of listening I asked myself, “What is this? What am I hearing?” STOP THE PRESSES!!! This was an Oh My God sonic revelation! I instantly texted my horn friend to tell him to come right over to verify what I was hearing! 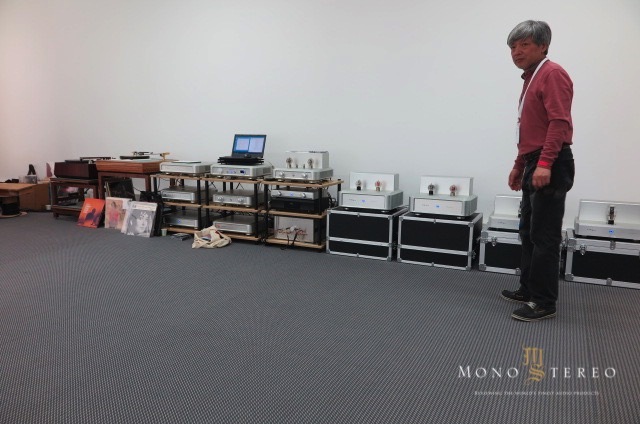 The exhibitor was playing some jazz track. 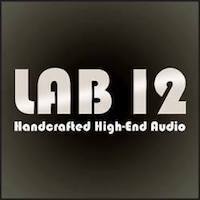 I heard very realistic instrumental tone and an unexpectedly open sound -- very similar to what I hear from planar loudspeakers. 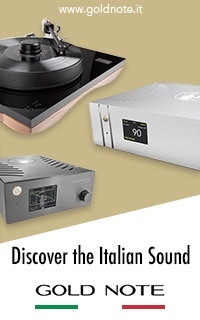 I heard a box-less sound - - the same sound for which I value planar speakers. 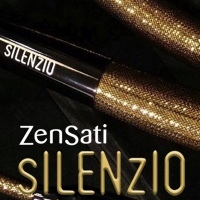 Often with a component one is not aware of a sonic defect unless one later is conscious of its absence in another component. I can enjoy conventional box speakers, but it is not until I hear again a box-less sound that I hear what I truly enjoy. 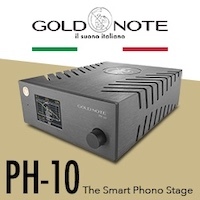 The small horn attached by a bracket on the side of the open box with seemingly no parallel sides handles 1100Hz and up. 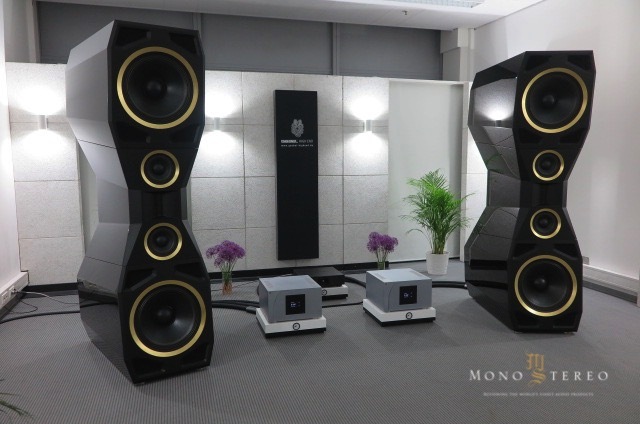 The open box reproduces between 120Hz and 1100Hz, and the closed, black woofer just behind the open box handles the range of 120Hz and down. 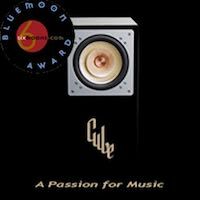 After listening to selections of instrumental jazz, jazz vocals, classical, rock and pop I conclude that this is the single best horn speaker I personally have ever heard. 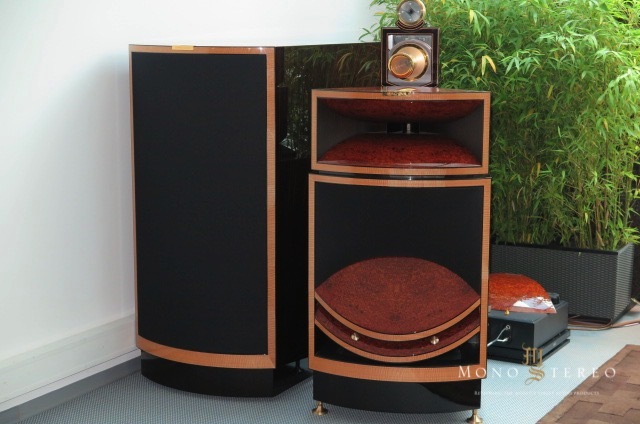 Brass instruments were reproduced with the breathiness and the sensation of air being physically moved which makes horns my favoite speaker for jazz. 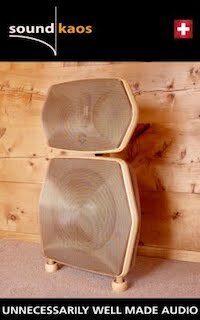 While I still feel that there is something about horns which deprives them from reproducing vocals as perfectly as other speaker types, I think this Avaton reproduced vocals at least as well as any other horn speaker I have heard. With sympathetic musical selections I suspect the Living Voice Olympian can sound more natural than anything else. 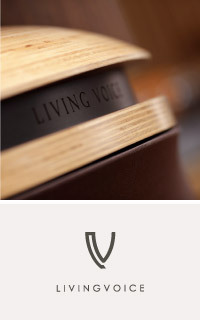 But in comparison to the Avaton, the Living Voice sounds more like a box speaker than it does like a planar speaker. The Avaton is the first horn speaker I have heard which reminds me of the sound of planars (and for me that is a highly desirable attribute). Winding up the show on Sunday I certainly was not expecting to find something amazing. But there it was for the hearing. 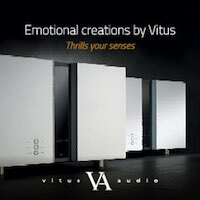 Before I left the room I told Manolis Proestakis, the Founder of Tune Audio, that I heard the Anima twice before, and that I really did not like it, but that his Avaton is a true sonic achievement. If I listened primarily to jazz the Avaton is the horn speaker I would purchase. 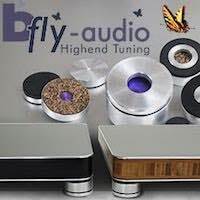 Recommended Amplifiers: Low-mid powered tube SETs or solid state Class A amplifiers. Low or no feedback designs are recommended. Recommended Placement: Near wall or room corner placement is desirable. 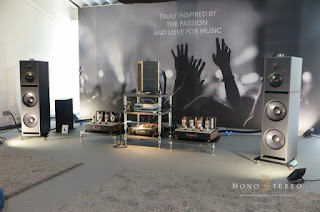 I noticed this year again a funny phenomenon about the Munich High-End Show at the MOC. Because of the enormity of the venue -- four huge buildings (“halls”) each with three floors and each with a voluminous center with hallways on each side of the center areas, and the sheer number of attendees -- it is very difficult to arrange to meet someone in a pre-planned way at a particular place at a particular time. 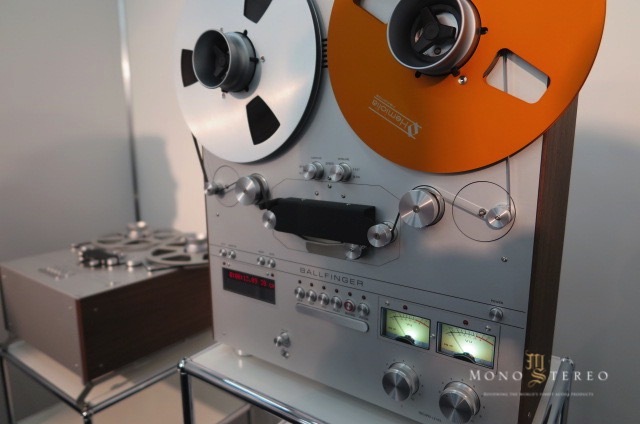 One of the participants to the meeting inevitably stays longer in some audio room prior to the meeting time, or the other participant is disappointed with where he or she is visiting, and moves on to another room down the hall. Just take my word for it: efforts at deliberate meetings at MOC are oddly frustrating. On the other hand one is almost constantly randomly running into the very individuals one was hoping to make plans with to meet! Without making a plan to meet Matej we ran into each other and walked around together for a while and had a nice drink outside under Los Angeles perfect weather! There also were several people I had trouble connecting with by schedule, until I happily ran into them totally randomly. The caveat here is that I did not visit remotely every room. 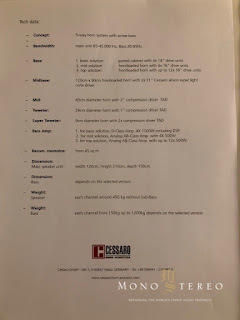 Some major brands, such as Ares Cerat, I negligently missed entirely. So this favorite systems list is merely a subset of the list of the rooms I happened to visit.